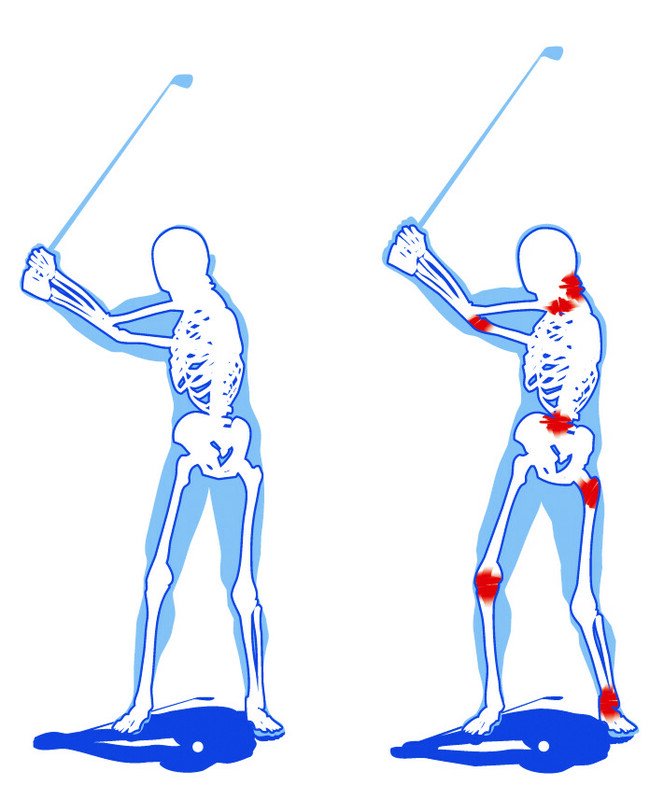 Physical competency assessments for golfers of all abilities are available at our clinic. Our Physiotherapist Mat Unwin trained with The Golf Athlete, an Australian organisation specialising in scientific support for golfers. The Golf Athlete have worked with over 100 PGA Tour professionals to help optimise golfing performance. Posture, flexibility, strength and balance are essential factors to address for any golfer, regardless of age or handicap. Our Golf Physical Competence Assessment aims to identify physical traits that may be hindering golf performance. Analysis of static and dynamic posture, flexibility, strength and balance is carried out. A report is produced, providing the golfer with valuable feedback on areas requiring development. Golf specific exercises will then be prescribed. 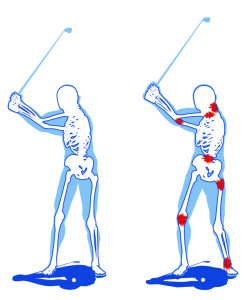 Reducing physical restrictions in movement and improving golf-specific strength has been proven to allow golfers to hit longer and straighter, and reduces the chances of injury. The Golf Physical Competence Assessment take 60 minutes and you will be required to wear shorts and a loose fitting t-shirt.